Ready for the breathtaking newly introduce Trek in Annapurna Region, Nepal? 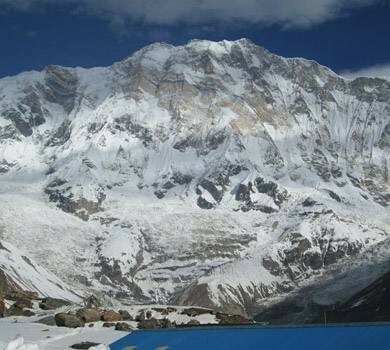 If yes, Annapurna Seven High Passes Trek makes its way out of astounding places and thrilling trekking trails. 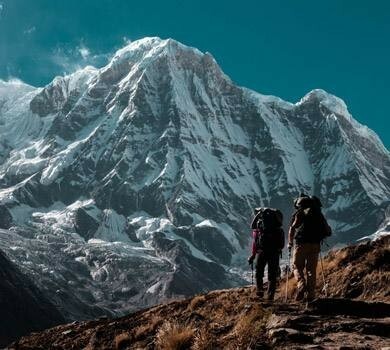 This High Passes Trek is a perfect showcase of Annapurna Region that follows the unique spots with enchanting nature, breathtaking high passes, majestic massifs and interesting culture and tradition of the local people. Why Annapurna High Passes Trek? This will be an interesting query for the adventure lovers. Annapurna Region has been a popular and an adorable trekking region all the world. 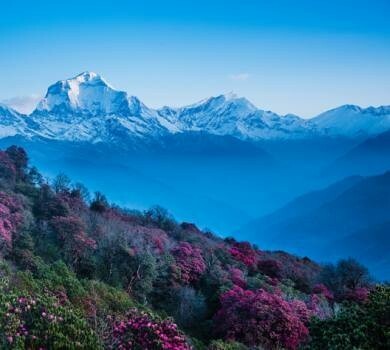 Numbers of outsiders get chained with the magnificent features of Annapurna Region. Along with the challenging trek to moderate trek, Annapurna Region now bestows with strenuous trek, Annapurna High Passes Trek. The hidden treasures and beauty of the nature with the world most awaiting adventurous trekking, the 7 High Passes Trek, is a newly introduce trek that is way amazing beyond one’s expectation. 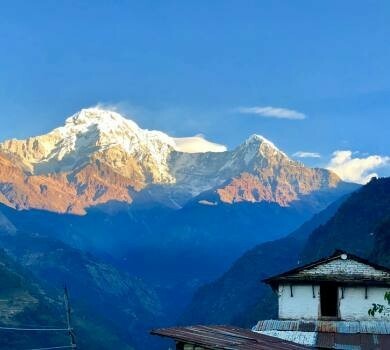 Annapurna 7 Passes Trek is a blended sort of trek that offers stunning beauty of nature with culture and tradition and the wilderness perfection of the great Himalayas. 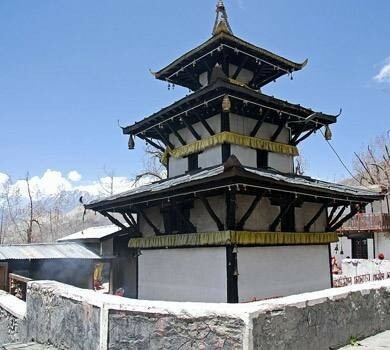 This is the trek that is introduced to keep the live momentum of Annapurna Circuit Trek. 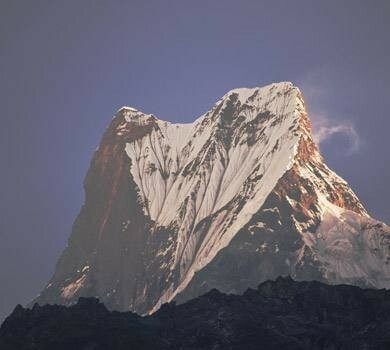 Those features that another trek bestows with can be observed more clearly and nearly participating in Annapurna High Passes Trek. The Annapurna Seven High Passes Trek takes trekkers to the most untouched spots, High Passes, of Annapurna Region. Among seven high passes, four of them are above 5,000 meters and other 3 are above 4,000 meters. So this will be a great opportunity to experience thrilling moments of lifetime. Kuchumro Pass (4900m), Yarcha Pass (4834m), Meta Pass (4635m), Naar Pass (5390m), Phu Pass (5043m), Kangla Pass (5300m), and Thorung La Pass (5416m) are the passes that Annapurna High Passes Trek holds within a single trekking package. Note: The trail following this newly introduce trek highly recommend for its visitors to have Microspikes/ Crampons along with camping gear and foods should be carried because from Day 06 to Day 16 these items is mostly require (no accommodation and fooding facilities in the spots). The perfect seasons to get enrolled in Annapurna High Passes trekking are Autumn (November to October) and Spring (April to May) which will be making the trek more fascinating and interesting in these seasons. Following the different hidden places and valleys, this awe-inspiring high passes trek starts from the place at the base – Besisahar and end to the charming – Paradise Pokhara. The amazing, interesting and thrilling trek of Annapurna High Passes Trek can be done in 24 days and also as per interest and timeframe the trek can be customized. This is the message for Massif Holidays, the local expertise (our guide) have done these thrilling high passes trek so no need to get intense about making the trek perfect and enjoyable. The representative of Massif Holidays leads the right path and makes feel safe throughout the trek. Massif Holidays is presenting this wonderful new trekking package to the adventure lovers to make the one time journey noteworthy and thrilling within Annapurna Region. The team of Massif Holidays will be helping and providing with better services to make the trip to Annapurna Seven High Passes remarkable and unforgettable. Sightseeing in Pokhara – a beautiful valley consisting of attractive natural contents which is a place mostly adored by outsiders and also regard as adventurous hub too. The picturesque drive from Kathmandu to Besisahar and Pokhara to Kathmandu. Majestic view of mountains from Phu Pass, Kangla Pass, and Naar Pass. Experiencing the lifestyle, culture, and tradition of different ethnic groups which holds a unique existence in Nepalese citizens. Outstanding views of the mountains like Nilgiri, Dhaulagiri, South Annapurna, Himchuli, Fishtail & Annapurna I, II, and IV. Amazing moments at Ranipauwa, Jomsom, Manang, and Ngawal. Mesmerizing view of the great landscape with the pristine beauty of nature. 23 Breakfast, 19 Lunch and 20 Dinner. Day 02: Pre-trip Meeting and Trek Preparation. Overnight stay at Hotel. Day 03: Drive to Tal via Besisahar (760 meters) about 12 hours. Overnight stay at Guesthouse. Day 04: Trek to Tilche (2320m). About 6-7 Hours. Overnight Stay at Guesthouse. Day 05: Trek to Tachai (2340m). About 5 Hours. Overnight stay at Guesthouse. Day 06: Trek to Songle (3360m). About 8 Hours. Overnight Camping. Day 07: Trek to Kuchumro Phedi (4525m). About 4-5 Hours. Overnight Camping. Day 08: Trek to Namakyu (4445m) via Kuchumro Pass (4900m) and Yarcha Pass (4834m). About 10 Hours. Overnight Camping. Day 09: Trek to Meta (3560m) via Meta Pass (4635m). About 8 Hours. Overnight Camping. Day 10: Trek to Phu (4080m). About 9 Hours. Overnight Camping. Day 11: Trek to Loang (4680m) via Phu Pass (52200m). About 7-8 Hours. Overnight Camping. Day 12: Trek to Chekchu (4410m) via Naar Pass (5400m). About 6-7 Hours. Overnight Camping. Day 13: Trek to Naar Village (4110m). About 3 Hours. Overnight Camping. Day 14: Trek to Kangla Phedi (4620m). About 3 Hours. Overnight Camping. Day 15: Trek to Ngawal (3660m) via Kangla Pass. About 6-7 Hours. Overnight Camping. Day 16: Rest Day in Ngawal (3360m). Overnight Camping. Day 17: Trek to Manang Village (3540 meters). About 5 hours. Overnight stay at Guesthouse. Day 18: Trek to Letdar (4250m). About 5-6 Hours. Overnight stay at Guesthouse. Day 19: Trek to Thorang Phedi/ High Camp (4525m). About 5 Hours. Overnight stay at Guesthouse. Day 20: Trek to Muktinath (3760meters) via Throng –La Pass (5416meters). About 7 hours. Overnight stay at Guesthouse. Day 21: Trek to Jomsom (2700meters). About 5 hours. Overnight stay at Guesthouse. Day 22: Early morning flight to Pokhara (820m). Overnight stay at Hotel. Day 24: Transfer to the international airport for your onward destination. Two nights’ (twin sharing basis accommodation) at tourist category hotels in Kathmandu including Breakfast. All meals during the trek (Breakfasts, Lunches, and Dinners). Teahouse and Tented Camp accommodation during the trek. Professional license holder English speaking guide (if required with other nation’s dialect for Annapurna Seven High Passes Trek). 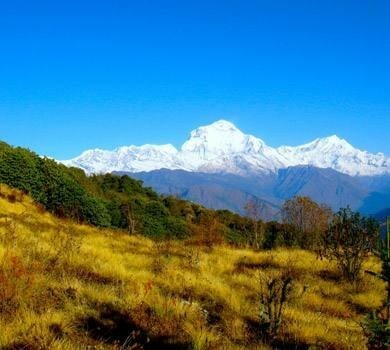 Annapurna Conservation Area permits Nar Phu special permit and TIMS card for trekking. Drive from Kathmandu – Tal, and Pokhara – Kathmandu. Scenic flight from Jomsom – Pokhara. Lunch and dinner during the stay in Kathmandu & Pokhara. Nepal entry visa fee that can be issued on arrival at Tribhuwan International Airport and also in the case for extending visa during the stay in Nepal. Luxury accommodation (4/5 star category hotels in Kathmandu and Pokhara). The listed optional facilities for the trekking within Nepal are not included in the travel cost. As per guest choice and demand for extra facilities or services some amount will be added to the trekking package cost of Annapurna Seven High Passes Trek. You can include the other extra facilities and services in your travel package consulting with the crew member of Massif Holidays. Due to poor visibility or bad weather may one cannot get the perfect view of nature. Get delayed for some hours or for some days because of nature and weather uncertainty. During this period, teams of Massif Holidays help to manage other various days activities, pre-itinerary with any trekking routes, etc. One needs to bear all expenses if need to stay at any place due to cancellation or delay during the trip.